IT’S JUST SO TEMPTING. What a time we’ve had, all of our baffles, frames and mast partners are officially glued and filleted in place and she’s looking like a boat. 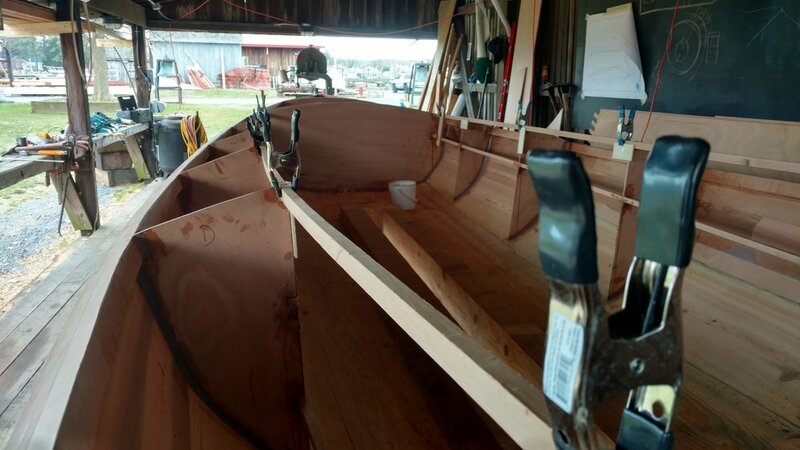 The deck on any boat does a great deal in stiffening the hull, but with just our interior structure fixed in place we are extremely happy with how much this step alone has done to tighten up the hull. The bulkheads and mast partners are all triple layered laminates of marine plywood and the baffles along the midsection of the hull are single pieces. Along the inboard edges of these baffles is where we will attach the paneling that will make up our water-tight sections underneath the decks. Today we also finished gluing in the stringers that span between the baffles and will help support the decks. With these in place, we can see the final camber of the decks and how high the topsides will really be. It’s pretty wild to see all this structure floating inside the hull, but we are excited to see it finished out. 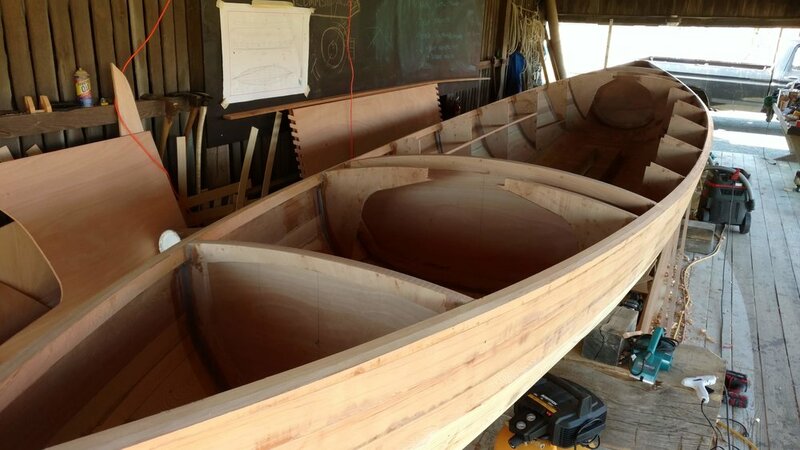 Next week we will layout the paneling for the water-tight bulkheads underneath the decks before epoxying the interior of the hull and then completing our water-tight sections.